After earning a Computer Science degree from the University of Kentucky, Brian completed his Master’s Degree in Economics. 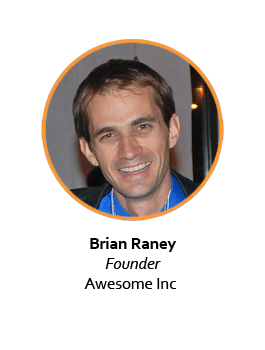 Brian founded his first software company, APAX Software, a web design and mobile app development firm. Brian co-founded the Young Entrepreneurs of Lexington organization in 2008, before founding Awesome Inc, a business accelerator and entrepreneur epicenter in 2009. He was honored as the Lexington Young Entrepreneur of the Year in 2010. Brian also serves as the Entrepreneur in Residence at the University of Kentucky.